Hey Kids! Do you like science! 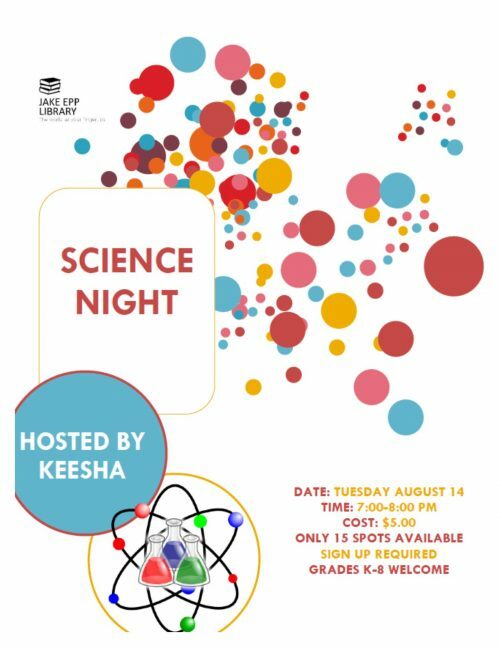 Come and join us for a night of experiments and learning. Featuring experiments such as fake snot, a “fire snake”, “What happens when you mix bleach and coke?” and more! Grades Kindergarten to Grade 8 are welcome! Limited space available. Please sign up at the circ desk.